Like many trades, tree surgery is not as regulated as you might expect. In fact, anyone can buy a chainsaw, stick a logo and a mobile number on the side of their van, print some business cards and call themselves a tree surgeon. There are six pages of tree surgeons just in the Nottingham Yellow Pages and many more if you search Google. So how do you avoid the rogues? The best way is through recommendation. Ask a friend or a neighbour if they were pleased with the work they had done. If you don’t have a personal recommendation then Buy With Confidence is the next best thing. Trading Standards maintain a register of approved traders that have been fully vetted for the quality and reliability of their workmanship. Approved traders are monitored through customer feedback so you can be confident of a professional job, whether you are looking for tree surgeon or a tiler, a painter or a plumber. Ask lots of questions. Good tree surgeons (sometimes called arborists to differentiate themselves from the 'lopping' and 'topping' cowboys) have a great deal of knowledge about different species of trees, when and how to work on them, and the pests and diseases that can affect them. They will visit you to discuss your requirements and provide a quotation without obligation. Scrap metal collection and tree services? If you get more than one quotation make sure everyone is providing the same service. What will happen to the branches or logs? You are legally responsible for all the waste so you need to be sure that it is not going to be ‘fly tipped’ at the side of the road. Many people will want to keep the logs to burn as fuel. Often the brash (branches and twigs) will be chipped which can then be used as a mulch on the garden to suppress weeds, retain moisture in the soil and recycle nutrients as it biodegrades. You should expect to pay a little more if material is to be transported off-site and disposed of responsibly and less if you will be recycling the material yourself. Owners of trees have a ‘duty of care’ to other people and their property. Tree surgery is skilled work and working at height with a chainsaw requires training, qualifications and experience. The cost of Public Liability insurance for tree surgeons reflects the risks but it is a ‘must have’ and, just as you wouldn’t drive your car without insurance, you might think twice before employing a tree surgeon that doesn’t have insurance. 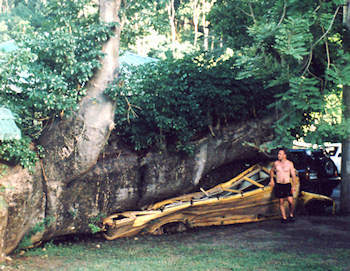 Your trees may be older than you are and they may live for future generations to enjoy. 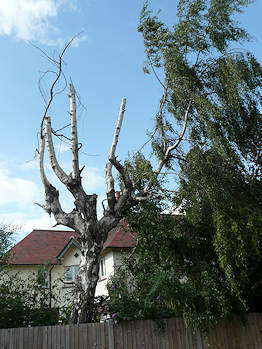 For people, a bad haircut may grow-out in a few weeks but trees can’t replace badly pruned branches and may even die as a result of a few hours butchery. Choose a tree surgeon that understands both your requirements and the needs of the tree and your garden will be an asset not an eyesore.